Please sign this Defenders of Wildlife petition that will stop the aerial killing of up to 75 Idaho wolves on PUBLIC land. This entry was posted in News, Petition. Bookmark the permalink. 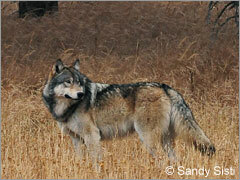 The fact it is public land is of course of no relavence to the powers that be if a wolf is involved….